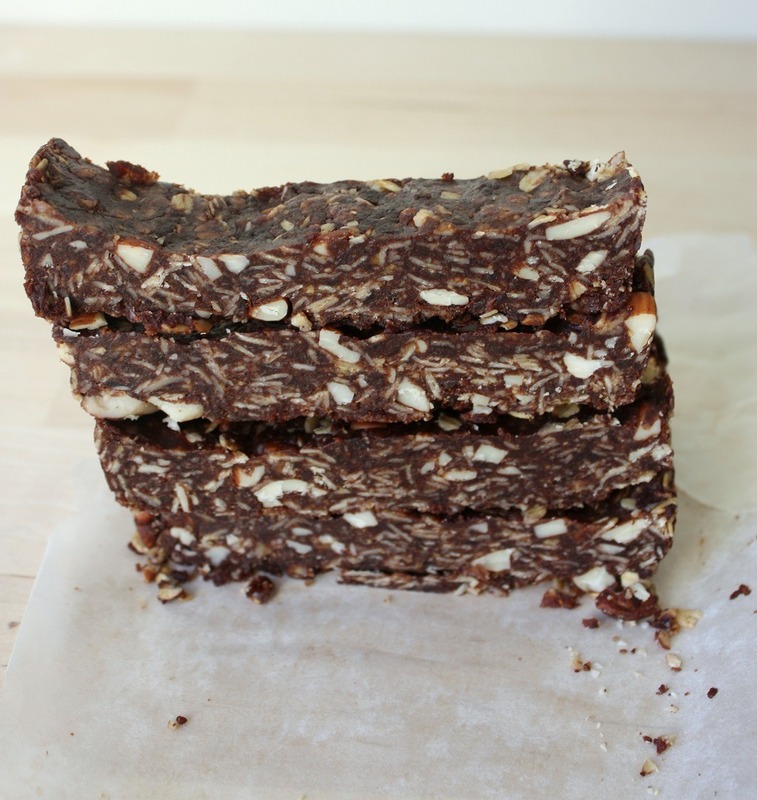 These healthy chocolate no bake brownies are probably my ‘go to’ treat when I’m feeling like something chocolately and sweet but without all the extra sugar that you find in regular snacks. 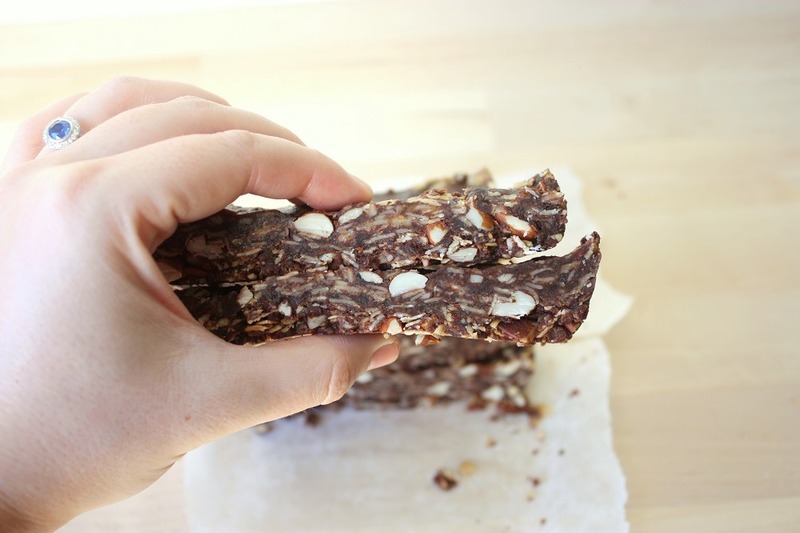 These particular brownies hold a place in my heart, because they are based on the ‘Healthy Chocolate Granola Bars‘ by the Minimalist Baker. The reason they are special to me, is because the original recipe was one of the first recipes I ever tried when I decided to cut back on processed food. Prior to this (this was in about 2014), I had just eaten regular store-bought snacks, until I watched a few food documentaries, such as ‘Hungry for Change’ and ‘That Sugar Film‘ that highlighted the risk and dangers of overeating highly processed foods and foods high in sugar. 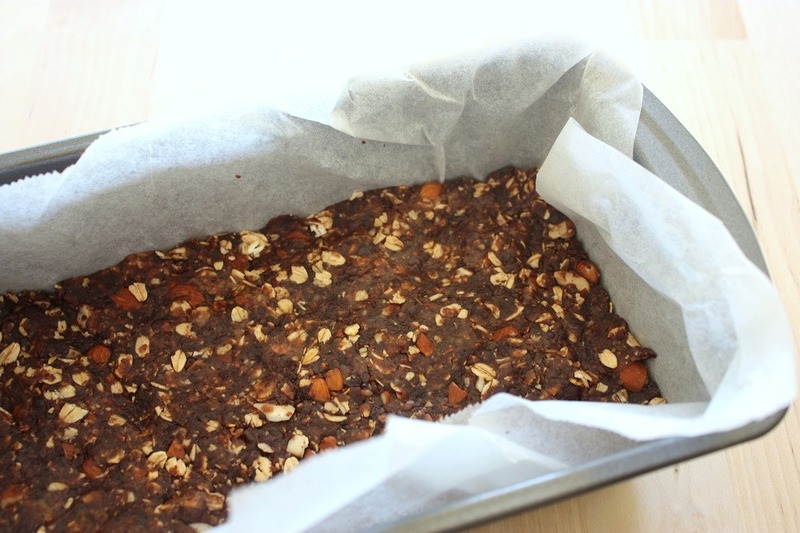 The granola bar recipe from the Minimalist Baker was really the first turning point in an attempt to healthify my life and find ways of making foods from scratch which is why I will always love this recipe! My healthy chocolate no bake brownies are so damn delicious. In my recipe, I cut back on the amount of nuts put into the brownies, and added a dash of vanilla & a pinch of salt, and overall reduced the quantities of the ingredients. I kept the oats whole, and the almonds roughly chopped, as per the original recipe suggested, and kept the addition of the honey & peanut butter because it tasted SO GOOD!!!!! I love being able to keep these in the fridge or freezer, and just grab one out whenever to have a munch on. They also make the perfect 3pm snack when you need something to boost your energy levels a little more! So I really hope you enjoy making these raw chocolate brownies, and I’d love to hear from you about your experiences with turning points and your favourite documentaries! Comment below! Easy, decadent, refined sugar free & amazingly delicious! Blitz walnuts in food processor until resembles a fine meal. Add dates, cacoa, vanilla & salt to walnut mixture, and blend together until mixture forms a dough. If mixture is not coming together, try adding some more dates. In a large bowl, place the roughly chopped almonds & oats. Mix together. Add date mixture to oats and almonds, and use your hands to mix together. 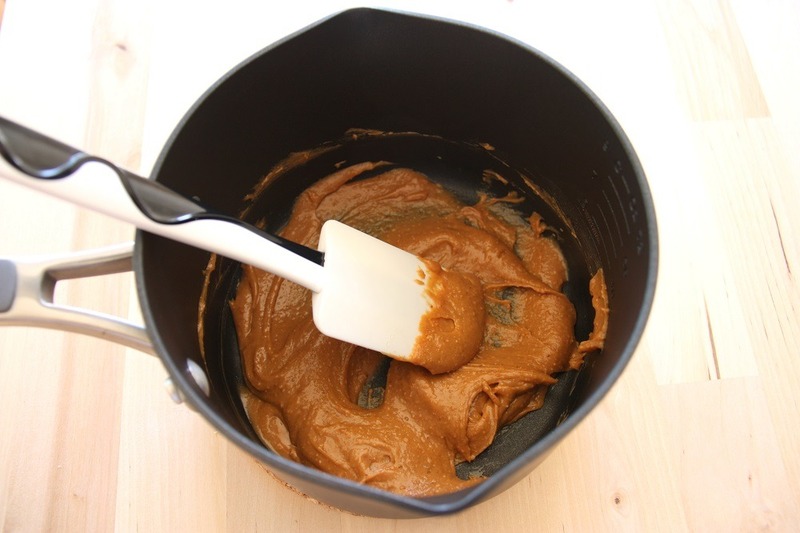 In a small saucepan, gently heat the peanut butter & honey until smooth and well combined. 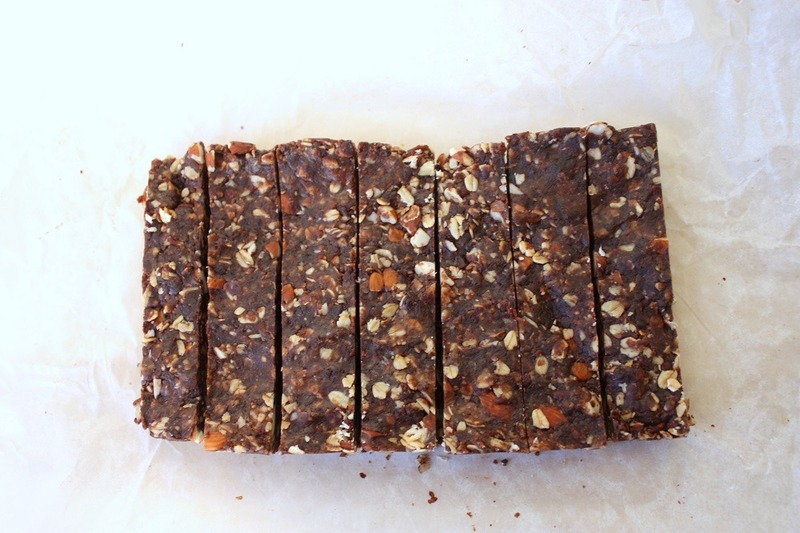 Press brownie into a loaf or slice tin, and set aside in fridge or freezer until hard. Cut into slices and serve or store in air tight container in fridge or freezer. * I use either a plastic bag to press down the mixture into the tin with my hands to avoid getting food all over my hands and contaminating the brownies. -What are you favourite food documentaries? -Did you have a ‘turning point’ moment or recipe in your life to help you lead a healthier life? Thanks for the love Diana! Yeah they are seriously my favourite snack! And great for a chocolate kick too! I just have to be careful they actually last longer than it takes to get the photos!